Credit card companies are great at sending you promotions where low interest rates are offered for cash funds or for offering low interest rates to transfer a credit card balance. The low interest rates can sometimes be as low as 0%. It may seem like you aren’t paying for your purchases for a while by using these amazing offers, but the promotional offers are known to be credit traps. How Does the Trap Work? In a prospering economy where most of their customers are gainfully employed, the main goal of a creditor is to make it as easy as possible for their customers to rack up as much debt as they can. A low minimum payment is a good way for someone to feel secure enough to spend a large balance on a credit card without feeling the immediate impact of a big ticket purchase. When consumer confidence is high, credit card companies benefit by gaining life long customers who may have a big credit card balance with them for many years to come. The credit card companies will make their money from interest payments in the long run. Using a credit card that has a compound interest rate with a very small minimum payment allows your balance to grow even though you are paying the minimum payment amount required on a monthly basis. On a monthly basis, the amount that the interest is calculated from continues to grow. For example, if your interest on your balance is $125 and you are only paying a minimum amount of $70, an extra $55 will be added to the next month as the basis for calculating interest for the next period. In short, as the balance goes up, so do the interest payments. It’s not just from interest that credit card companies are hoping to earn your hard earned money. They also want to sprinkle in some late payment fees. The more balances you have on credit cards, the more likely it is that you may just miss a payment one month and forget to pay it. They are hoping that your email inbox is swamped with a ton of junk email and the late payment warning goes unnoticed, if they even send an email for that. Once you miss a payment, a fee can be attached to your next credit card balance and if you miss another one, fees can add up. There are several imaginable scenarios that could cause you to miss a payment even though you are normally a responsible person. The previous strategies can work when customers are employed and making payments, but when times go bad, that is when credit card companies can really strike! The promotional offers get even more enticing when funds are short. They can help you postpone payments from other cards at a rate of 0%. Well why not? You might ask. You can postpone payments until times get better and you get that better paying job. What if that better paying job doesn’t come around for longer than the promotional 0% APR expires. Now you are left with late payments which cause additional fees to be added to your credit card balance and interest compounding on those higher balances. Just when you think it can’t get any worse, credit card companies will increase your interest rate and cut down your balance limit on your card. 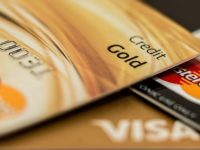 So now you can’t spend anymore money on the card, but the actual balance has grown significantly and continues to add up more and more every month just from high interest rates. This is the ideal scenario for credit card companies. At this point, your balance is growing and your minimum payment has come to a point where you cannot afford to pay them because you are unemployed. This looks like the end for the credit card company getting any more of your money. Now you are so angry that they have increased the interest and added fees that you refuse to pay them anything at all. You will live with the late payments because what they are doing to you does not deserve any more payment for their unethical business practices. The only problem is that this is again another favorable situation for a credit card company. Now they can take you to court and sue you for the balance. After they get a judgment, they can intercept your paycheck in a wage garnishment or they can add a lien to your home. It still does not end there. Even after a judgment in court, a creditor can still continue to charge you interest and fees. This credit card trap is a trap that has worked on people year after year. Some people even fall into the trap multiple times. It is in these situations that you need to take a step back and find information you need to eliminate the debt as soon as you can. Bankruptcy Law Professionals is here to help you break this pattern of debt. We can help eliminate credit card debt in a Chapter 7 bankruptcy filing. Contact us as soon as possible to eliminate your debt.